I was not just trying to capture the amazing view of the Alpensee. 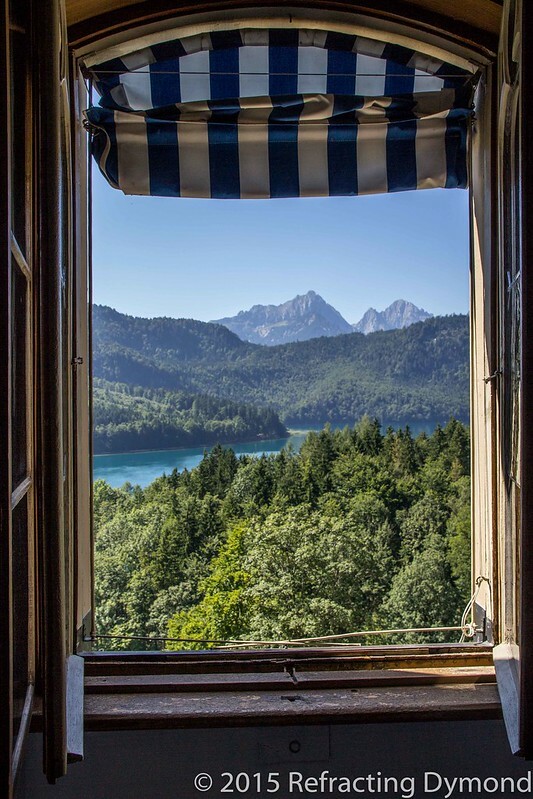 I aimed to get the effect of looking out the window from inside, trying to capture the experience the Bavarian royals had. On such a bright day, it was hard to get the lighting right, as the inside of the castle is dimly lit. I was able to get the picture I wanted with minimal adjustments to highlights and shadows in Lightroom.